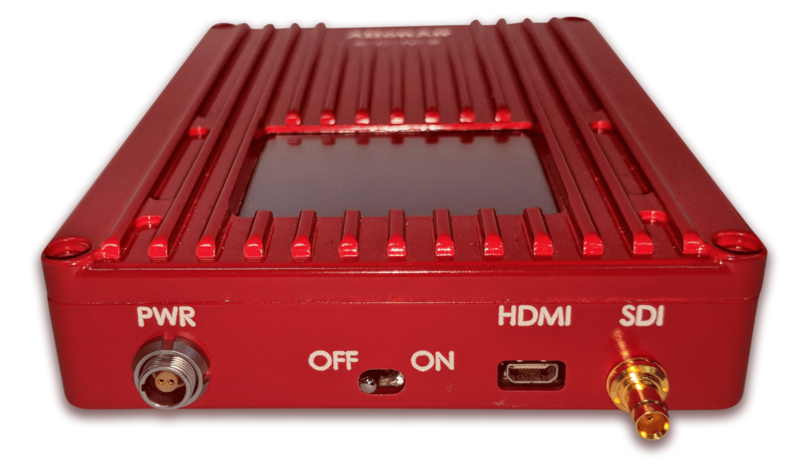 LAKE FOREST, Calif. — July 31, 2018 — VidOvation today announced the availability of the ABonAir AB405™, a low-cost, compact wireless video transmitter and receiver link with a mere 33-millisecond delay. The AB405 is optimized for ENG teams, basic sports coverage in universities and high schools, single-stage events, religious broadcasts, and video-assist scenarios that require uncompromised link stability and high picture quality. Optimization of wireless and video requirements combined with careful radio design and advanced multiple input/multiple output (MIMO) technology enabled ABonAir engineers to extend the system range. As a result, the AB405 can transmit video up to 750 meters (2,500 feet) with a clear line of sight. It uses two full MIMO radio antennas at both the transmitter and receiver points to enhance performance and ensure coverage, even in extreme radio signal environments. A built-in bidirectional radio channel between transmitter and receiver means the AB405 system can acknowledge the correct acceptance of each group of pixels, thus providing exceptionally robust and reliable transmission. For fixed setups or a temporary production, the AB405 features a robust, portable receiver for complete mobility. It fits in a Pelican case and is geared toward single-stage events, OB vans, and religious broadcasts. Like all ABonAir systems, the AB405 supports all bit rates and formats, ensuring it can be used in any production anywhere in the world with any camera type. The system also supports a wide variety of frame rates. VidOvation can customize the AB405 to support any format or frame rate not listed in the technical specs.